The first week of the second half of the Cosmoledo 2017/2018 season kicked off with a bang! 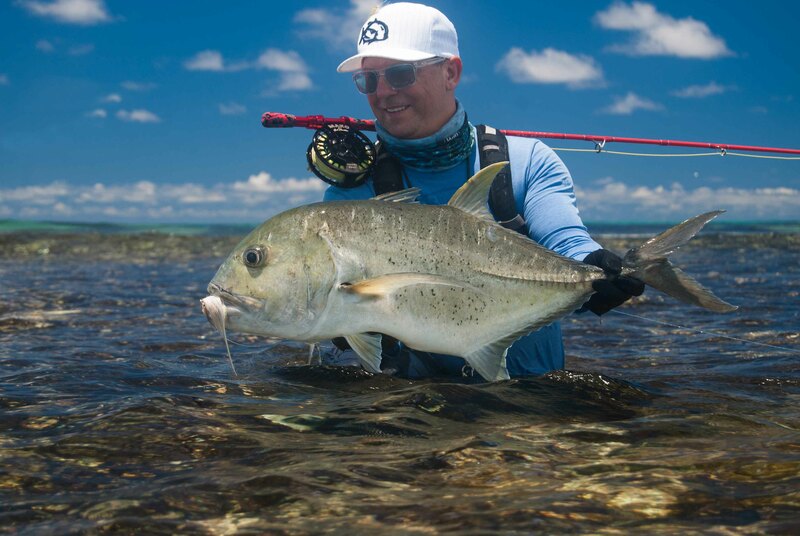 The two months of rest clearly showed on the atoll with the new arrivals having countless shots at flats cruising GT’s throughout the week. 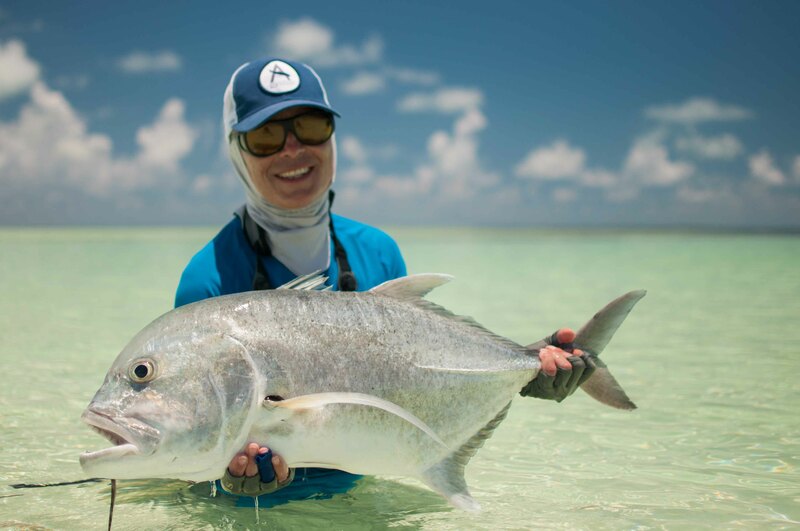 The crystal clear water and absolute glass-off conditions made for some very hot and sometimes challenging fishing for the anglers aboard the mothership Lone Star. 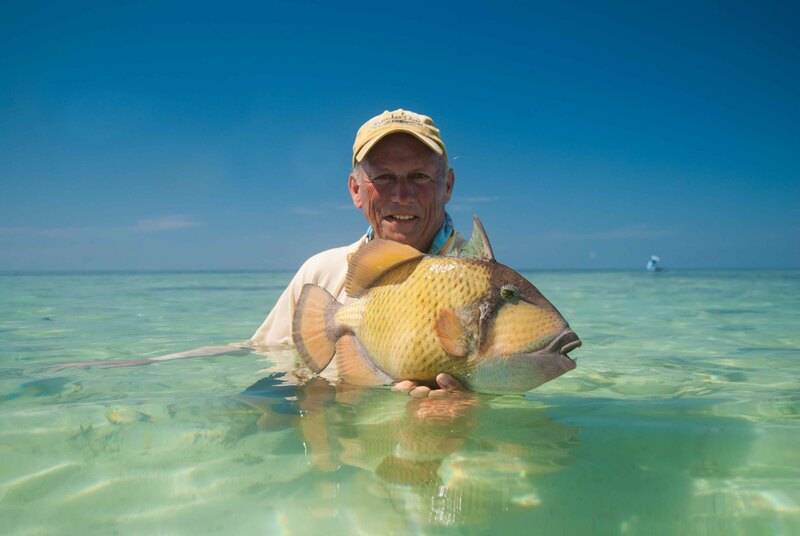 First timers to saltwater fly fishing, Helmut Alexander, and George Marberger made the best of the conditions on day one with both of them ticking off a host of species on the list including their first GT, Bonefish and a heap of other reef species. 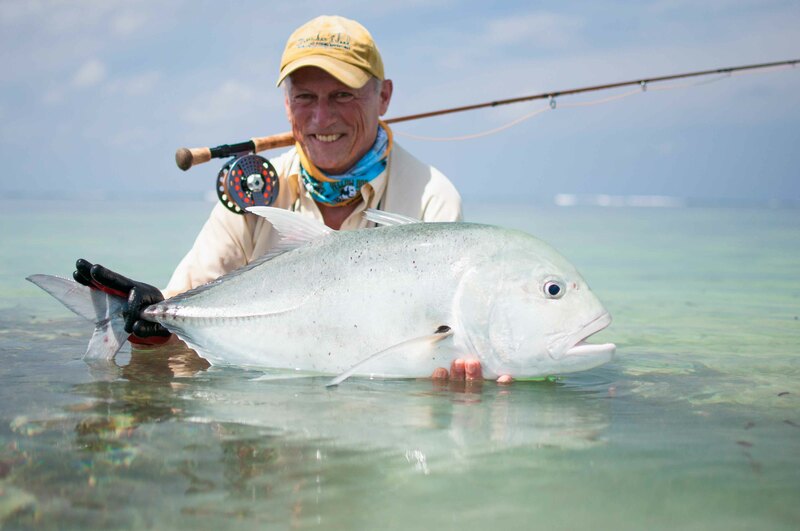 Amongst all the GT’s Helmut also managed a trophy 101cm GT that put a serious bend in his Thomas and Thomas 12wt. 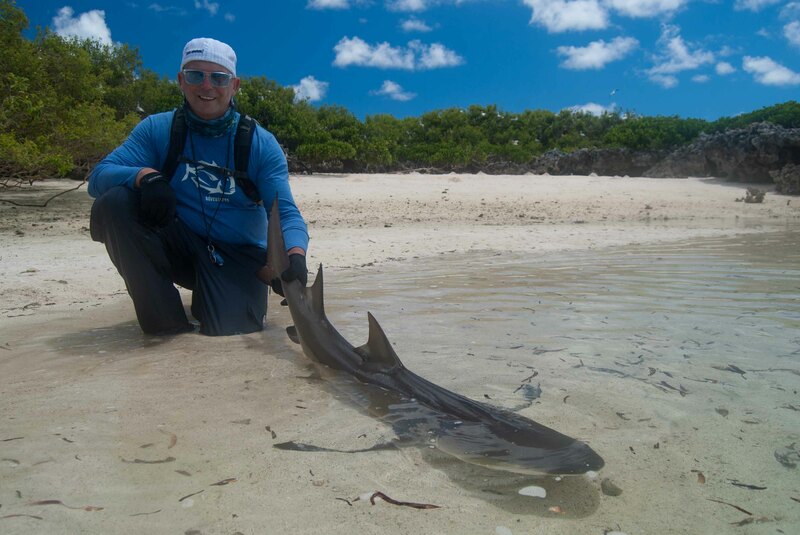 Returning guest, Ueli Sellweger had another great trip. A good collection of GT’s and one of three triggers for the week made up his tally. 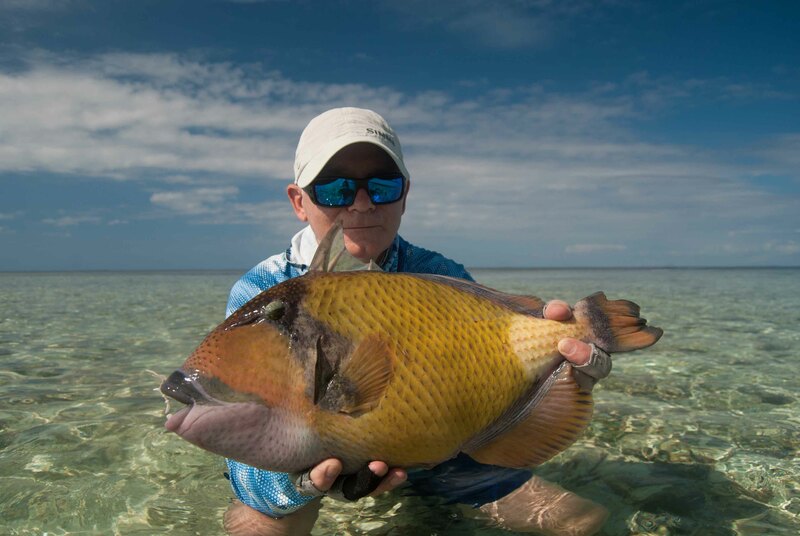 His boat partner, Gunter Wimmer, followed suit with his first GT as well as a solid Moustache Triggerfish. 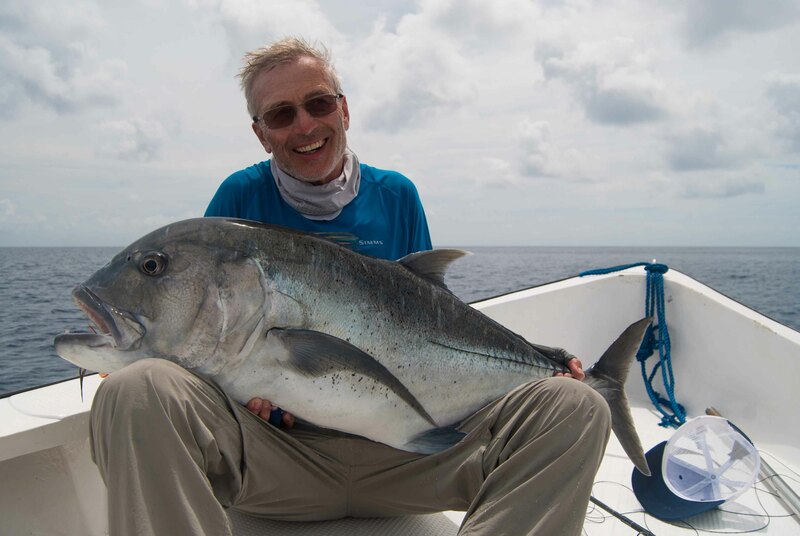 Long-time friends Alan Rosen and Peter Jones had a great first trip to the Indian Ocean landing their first ever GT’s with Peter coming up trumps with a bus of a GT measuring in at 108cm! The boat of the week belonged to the veteran of Cosmoledo, Helmut Zaderer, and his partner Helmut Alleze. They managed over 50 GT’s between them with five fish over the magic 100cm mark, the biggest fish of the week measuring 109cm. 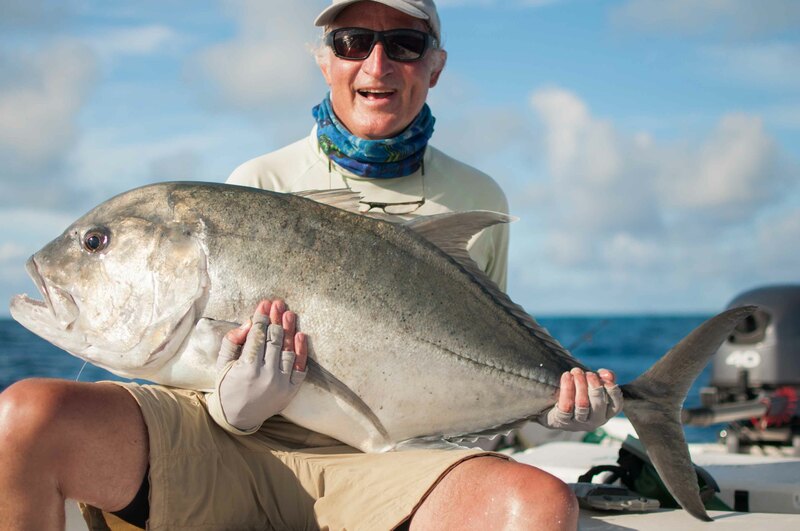 Perhaps the fish of the trip belonged to Helmut Alleze. 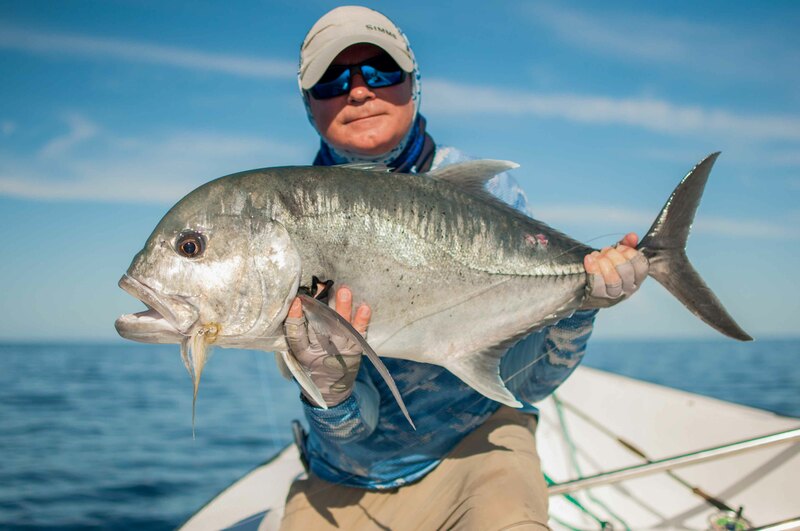 Sending a heavy dredging fly down into the depths of the blue waters that surround Cosmo often leads to some interesting and colorful catches. One particular day Helmut found out just what sort of monsters can be found down in these depths. Two strips in and Helmut went tight. He put on the brakes as hard as he could and after a solid battle, some color started to show from the deep blue. A giant Coral Trout appeared below the boat and before long was landed. Estimated at over 65lbs it certainly was an incredible catch! With the weather predictions set to be in our favor and spring tides on the way, the guide team can’t wait to see what the week has in store for the next group of guests.